There are many unusual and interesting words and phrases associated with cemeteries, burials and rituals that are not often used in normal conversation. In many cases people are unlikely to know the meaning of these words or the derivation of them. As we come across some of these, we will post them on this page for your perusal. Acheron – The river of woe, one of the five rivers of Hades from Greek mythology. 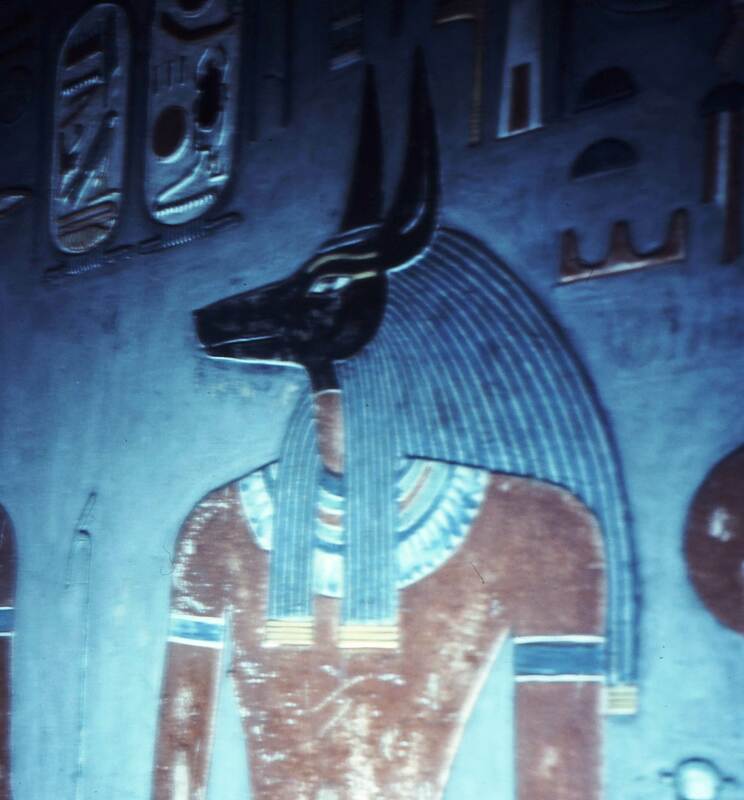 Anubis – The jackal-headed Egyptian god of the dead associated with mummification and the afterlife. 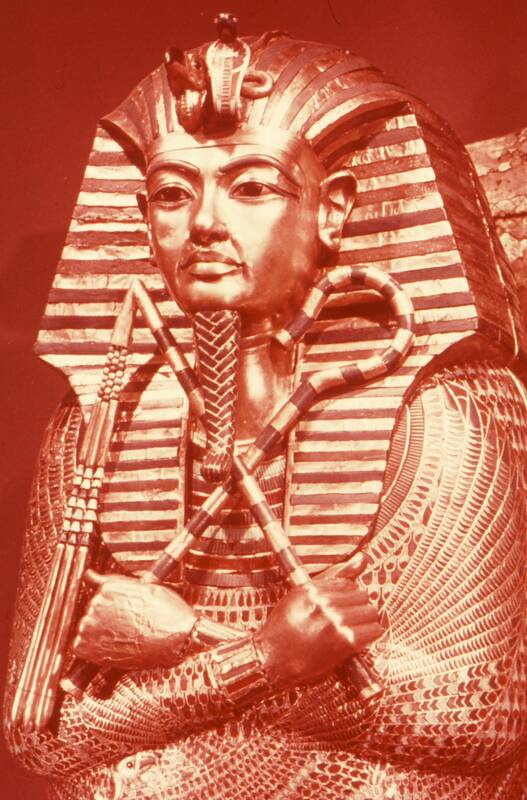 He takes names in connection with his funerary role, such as He who is upon his mountain, which underscores his importance as a protector of the deceased and their tombs, and the title He who is in the place of embalming, associating him with the process of mummification. 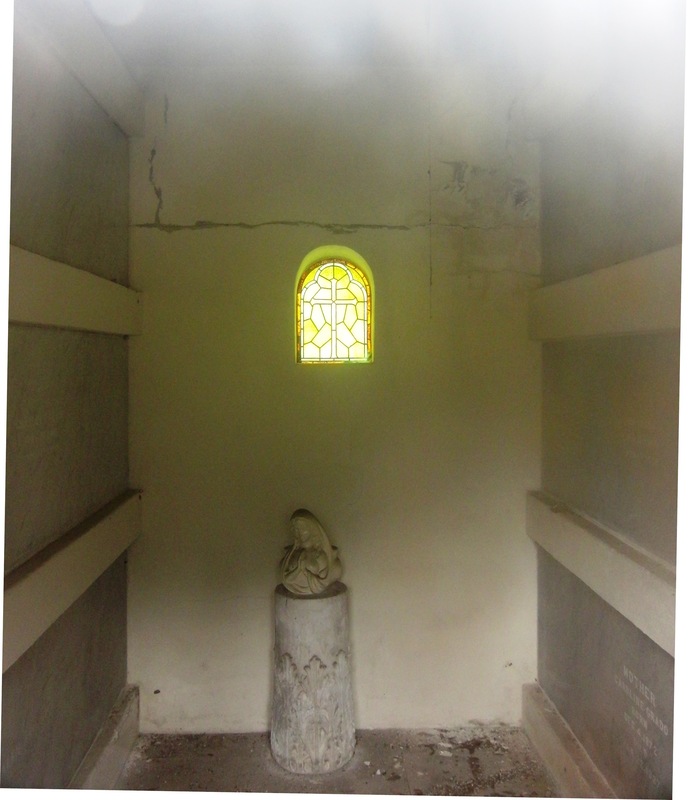 Apparition – A ghostly figure from Latin apparere to appear. Autopsy – The examination of a cadaver to determine the cause of death. It is derived from the Greek autopsia or a seeing for oneself. Barrow – A large mound of earth or stones placed over a burial site from the Old English beorg or hill. Bereave – To leave one desolate or alone, especially by death. It is derived from the Middle English bireven or to deprive. Bier – A stand upon which a coffin or coffin containing a corpse is placed before burial. It comes from the Old French biere or coffin. Brimstone – Hellfire from the Old English brynstan of sulfur. Burial – The act or process of placing the corpse in a grave. It is derived from the Old English byrgels. 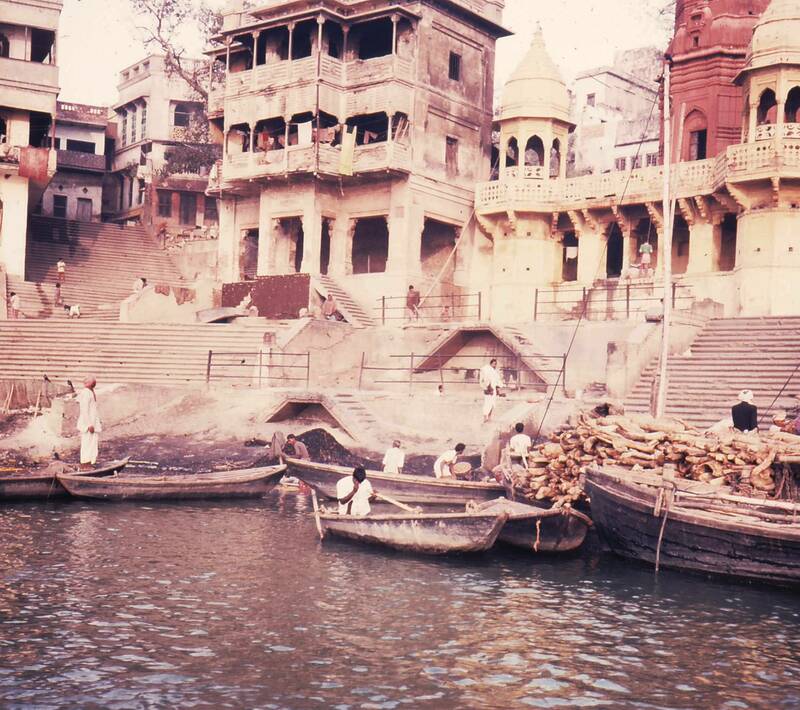 Burning Ghat – Broad flights of steps leading down to a sacred river, mainly in India, where corpses are cremated atop a pile of sandalwood. Ghat comes from the Sanskrit ghattah. Cadaver – A corpse, especially one intended for dissection. It is from the Latin cadre or to die. Carnal – Of or relating to the body or flesh as in carnal remains from Latin carnalis or carn or caro meaning flesh. Casket – A coffin from the Old French cassette or casket. 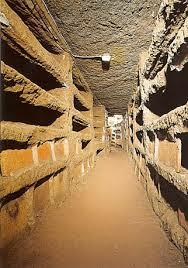 Catacombs – An underground cemetery consisting of chambers or tunnels with recesses for graves. It is derived from the Late Latin catacumba. Catafalque – A decorated platform or framework on which a coffin rests in state during a funeral from Italian catafalco. 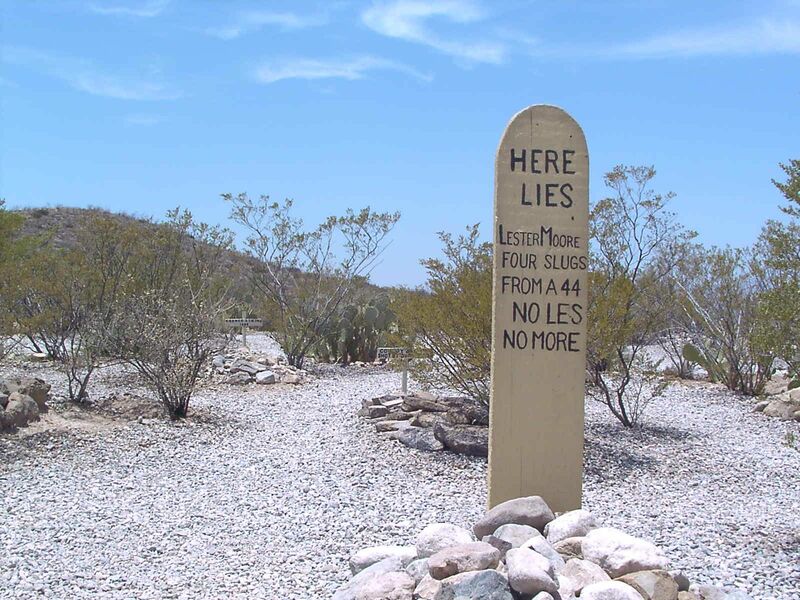 Cemetery – A place for burying the dead; a graveyard. It comes from the Greek word koimeterion or to put to sleep. Cenotaph – A monument erected in honor of dead people whose remains lies elsewhere, generally related to those who die in foreign wars. It is from the Greek kenos or empty and taphos or tomb. Chanel or Charnel House – A building, room or vault in which the bones or bodies of the dead are placed. Carnalis or flesh is the root of this Late Latin word. 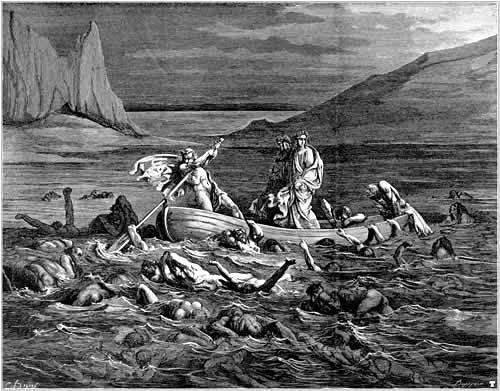 Charon – In Greek mythology he is the ferryman of Hades who carries the souls of the newly deceased across the river Styx (See Styx) that divided the world of the living from the world of the dead. A coin was placed over the eyes or in the mouth of the cadaver to pay for passage. Some believe that those who could not pay the fee or those whose bodies were left unburied, had to wander the shores for one hundred years. Cocytus – One of the five rivers of Hades from Greek mythology. It is the river of lamentation. 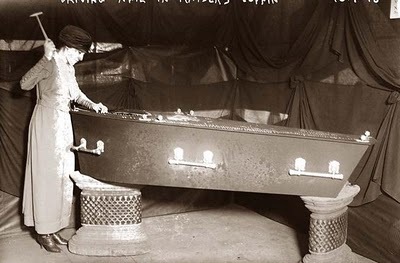 Coffin – An oblong box in which a corpse is buried. It comes from the Middle English cofin or basket. Coins on the Eyes of a Corpse – In ancient times, people believed the dearly departed were required to pay Charon (see Charon) who rowed the shade (see Shade) across the River Styx to the Underworld. Columbarium – A vault with niches for urns containing ashes of the dead. It is derived from the Latin columbarium or sepulcher for urns. 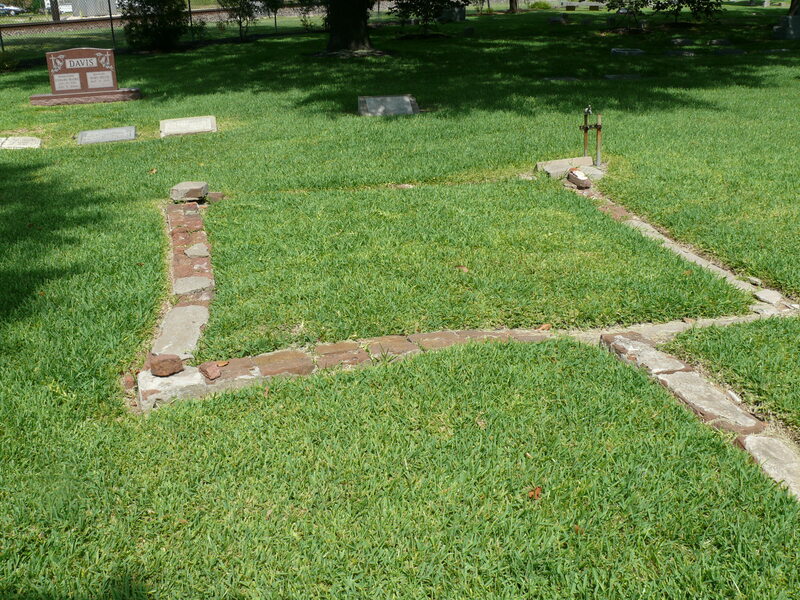 Coping – A short masonry border around a gravesite from the Medieval Latin capa or cloak. Coroner – A public officer whose primary function is to investigate by inquest any death thought to be of other than natural causes. It comes from the Latin corona or crown. Corpse – The dead body of a human being from the Latin corpus or body. Cortege – A funeral procession from the Latin chors or throng. Cremains – The ashes that remain after the cremation of a corpse. 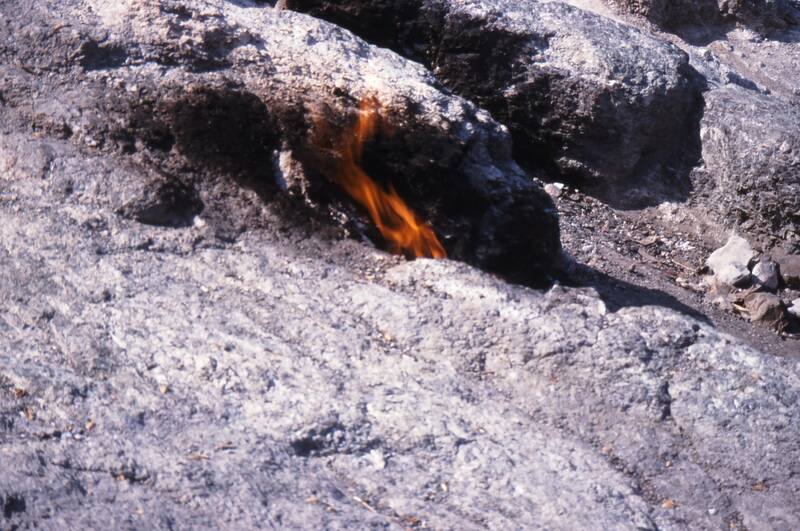 It is derived from combining parts of cremate and remains. Cremate – To incinerate a corpse. It comes from the Latin word cremare. Crematorium – A furnace or an establishment for the incineration of corpses. 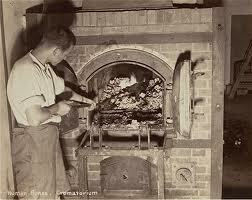 The word is interchangeable with crematory. Both are derived from cremare. Crossbones – A representation of two bones placed crosswise, usually under a skull, symbolizing death from the Latin crux or cross and ostio or bone. 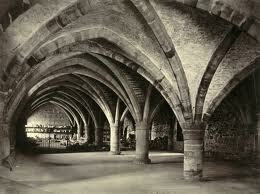 Crypt – An underground vault or chamber, especially one beneath a church that is used as a burial space. It is derived from the Greek kruptos or hidden. Death – The act of dying from the Middle English deeth. Death Knell – The ringing of a bell to announce a death. 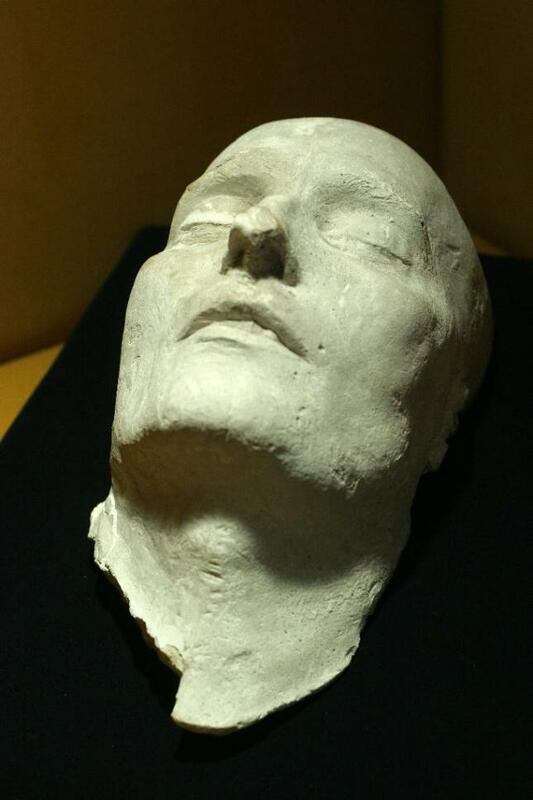 Death Mask – A cast of a person’s face taken after death. Some famous death masks are of Napoleon, Dante Alighieri, King Tut, Keats, Chopin, Beethoven, Voltaire, Oliver Cromwell, Peter the Great, Alfred Hitchcock, Lenin, Lincoln, Isaac Newton, Tolstoy, Ben Franklin, Shakespeare, Washington and John Dillinger to mention a few. Deaths-head – A human skull as a symbol of mortality. Dirge – A funeral hymn of lament. It is derived from the Medieval Latin dirge Domine or to direct. 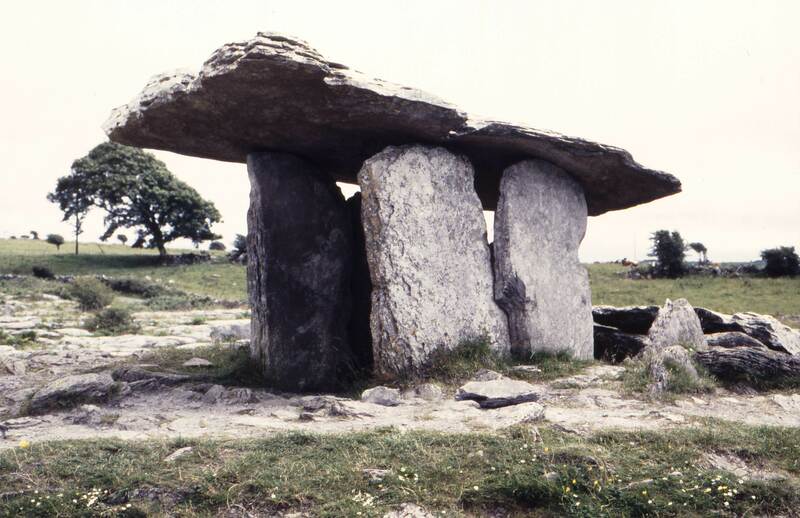 Dolmen – A prehistoric megalithic structure consisting of two or more upright stones with a capstone to form a chamber usually for burial from the Latin tol or key and men or stone. Ectoplasm – The visible substance believed to emanate from a medium while communicating with the dead from the Greek ecto or external and odium or resembling. Embalm – To treat a corpse with preservatives in order to prevent decay. It comes from the Old French en or in and basme or balm. Entomb – To place in a tomb or grave. The derivation is unclear. Epidemic – A rapidly spreading infection affecting many individuals in an area or population at the same time. It comes from the Greek epi or above and demos or people. Epitaph – A term used to characterize a person. The word is derived from the Greek epi or upon and taphos or tomb. Eternal Flame – A continually burning flame usually to honor a person of national or international importance. They have been used by many cultures for millennia. Eulogy – A laudatory speech praising one who has died. It comes from the Greek eulogia or praise. Evil Eye – The presumed power to cause injury or misfortune to others by supernatural means from the Old English yfel. 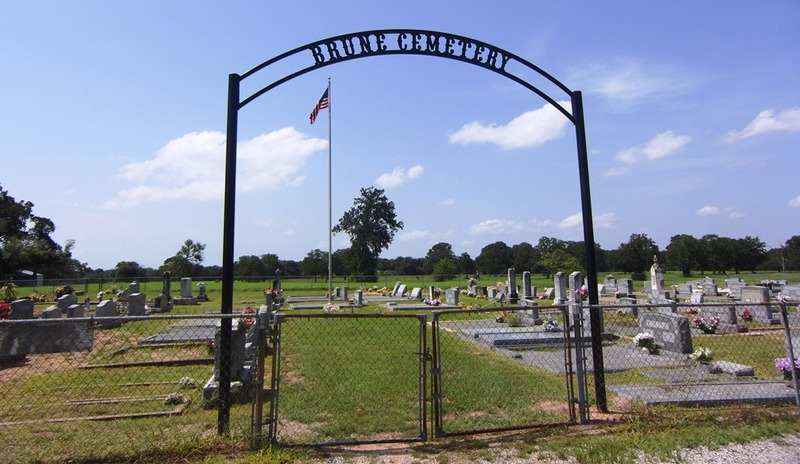 Exhume – To remove from a grave, from the Latin ex or out and humus or ground. Extreme Unction – A Catholic rite under which a priest prays for a dying person from the Latin unguere or to anoint. Flag at Half Mast – This tradition began in the 17th century, perhaps to allow “the invisible flag of death” to fly at the top of the mast signifying death’s presence aboard a ship. Today it symbolizes honoring the dead in any way. Flag Draped Casket – This tradition began in the late 18th century during the Napoleonic wars, when the flag was used to cover dead soldiers carried from the field. This later evolved into the flag-draped casket seen at military funerals. Funeral – The ceremonies held in connection with the burial or cremation of a deceased person. It comes from the Latin funus or death rights. Funeral Pyre – A heap of combustibles for burning a corpse derived from the Latin pyra or fire. Funeral Urn – A vase of varying size and shape, usually having a footed base or pedestal, used to hold cremains. Urn comes from the Latin urna. Grave – An excavation for the interment of a corpse from the Old English graef or grave. Grave Digger, Graveside, Gravesite, Gravestone and Graveyard – Are all derived from the Middle English graef or grave. Grim Reaper – A skeletal figure dressed in a black cloak and hood carrying a large scythe who comes to announce one’s death. This belief began in the 15th century. Ghost – The spirit of a dead person, especially one believed to appear in bodily likeness to living persons to haunt former inhabitants. It comes from the Old English gast meaning breath or spirit. 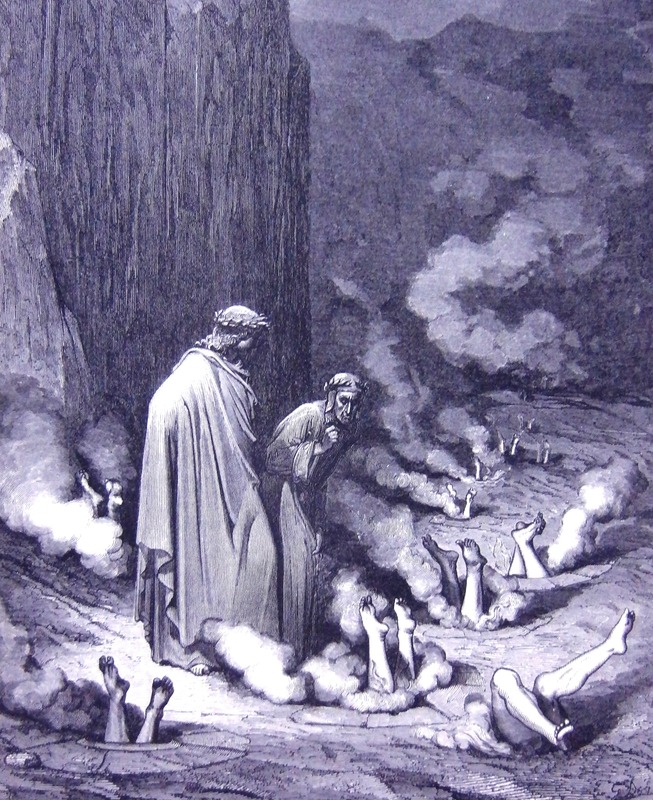 Hades – The netherworld kingdom, the abode of the shades (See Shade) of the dead. It is derived from the Greek Haides. Haunt – To inhabit, visit or appear in the form of a ghost from the Middle English haunten or frequent. Hearse – A vehicle for transporting a coffin to a church or cemetery. It is derived from the Middle English herse or a harrow-shaped structure for holding candles over a casket. Hic jacet ci-git – This is Latin and French for ashes to ashes, dust to dust. Inferno – A place suggestive of Hell, especially with respect to human suffering and death. It is derived from the Late Latin infernus or hell. 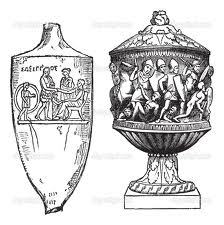 Inurn – To put in an urn from the Latin in or into and urna or urn. Jazz Funeral – A tradition of brass band funeral parades in New Orleans. The first line is the main section of the parade, or the members of the social club with the parading permit as well as the brass band. Those who follow the band to enjoy the music are called the second line. The second line’s style of dance in which participants walk and sometimes twirl a parasol or handkerchief in the air, is called “second lining.” Second line parades usually lack the slow hymns and dirges played at funerals although they may have the band play something solemn towards the start of the parade in memory of members deceased since their last parade. Ledger – A slab of stone laid flat over a grave from the Middle English leggen or to lay. Lethe – It is the river of oblivion in Hades according to Greek mythology. Lie in State – The tradition in which a casket is placed on view to allow the public at large to pay their respects to the deceased. It traditionally takes place in the principal government building of a country or city. Lynchgate – The arch at the entrance of a cemetery where in the old days, the burial service began. It means corpsegate and comes from the Middle English corps or body and Old English geat or gate. Malediction – To call a curse upon from the Latin maledicere or to curse. Mastaba – An ancient Egyptian tomb. It is derived from the Arabic word mastabah or stone bench. 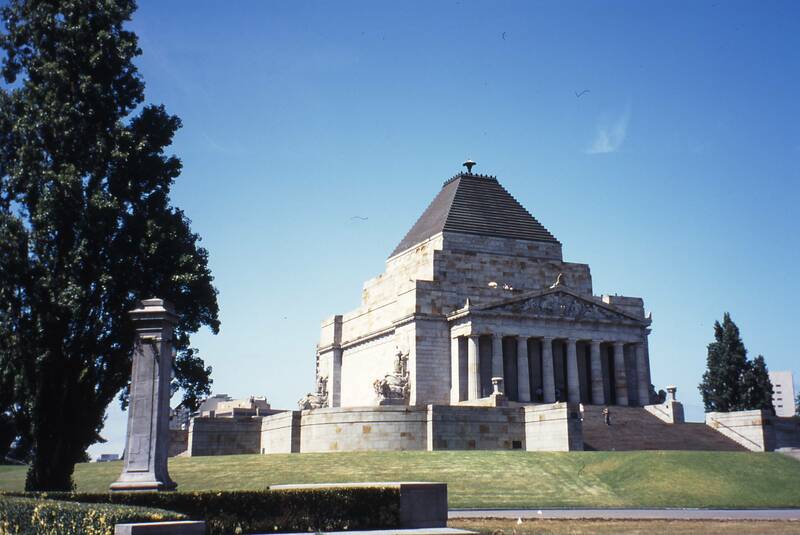 Mausoleum – A large, stately tomb. It is derived from the Greek mausoleion, an old word we have not been able to correctly translate. Mortician – A funeral director from the Latin mors or mort meaning death. Mortuary – A place where the dead are kept before burial or cremation from the Latin mortuarium or receptacle for the dead. Mourn and Mourner – To show grief for the death by conventional signs such as dressing in black clothing. It is derived from the Old English murnan or grief. Mummify – To make into a mummy by embalming and drying (see Mummy). Mummy – The dead body of a human or animal that has been embalmed and prepared for burial according to the practice of ancient Egyptians. 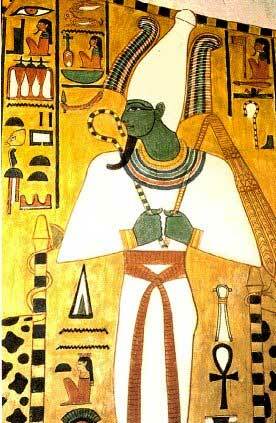 It is derived from Medieval Latin mumia. Near Death Experience (NDE) – A personal experience associated with impending death, encompassing multiple possible sensations including detachment from the body, feelings of levitation, total serenity, security, warmth, the experience of absolute dissolution and the presence of a light. These phenomena are usually reported after an individual has been pronounced dead or very close to death. 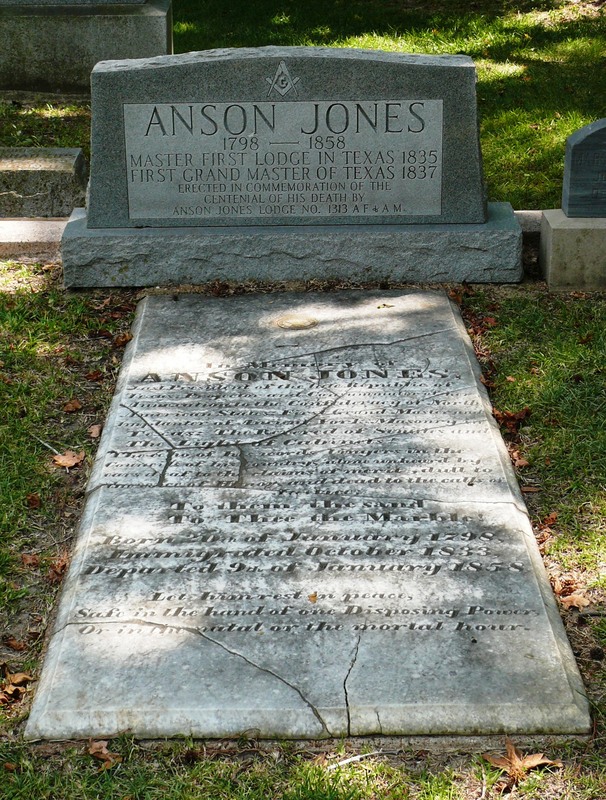 Necrology – A list of people who have died, especially in the recent past. The derivation is uncertain. Necromancy – The practice of supposedly communicating with the spirits of the dead in order to predict the future. It comes from the Greek nekros or corpse and manteia or divination. Necromancer – One who practices Necromancy. Necrophobia – An abnormal fear of death. 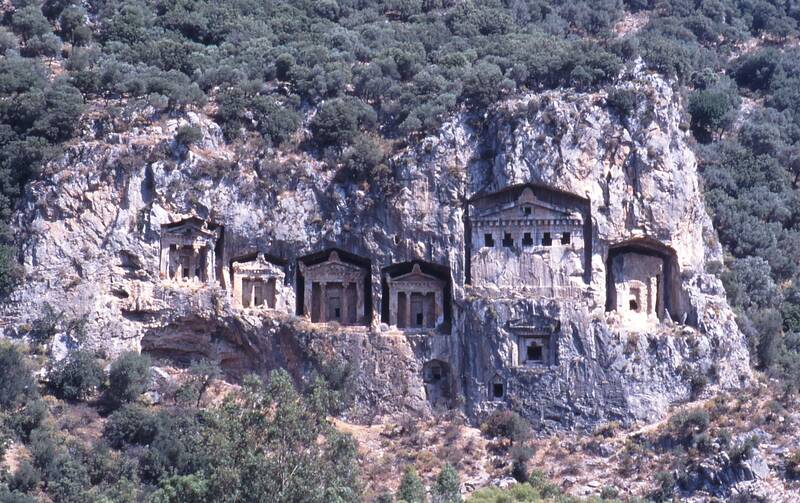 Necropolis – A cemetery, especially a large and elaborate one belonging to an ancient city. It comes from the Greek necro or death and polis or city. 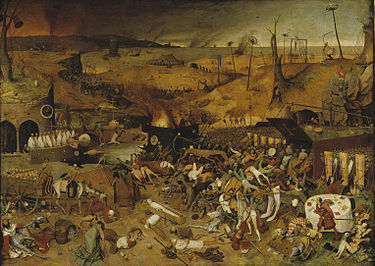 Netherworld – The world of the dead, Hades or Hell from the Old English neother or down. Obituary – A published notice of a person’s demise usually accompanied by a brief biography from the Latin obire or to meet one’s death. Osiris – The ancient Egyptian god of the dead in mythology whose annual death and resurrection symbolized the self-renewing vitality and fertility of nature. Ossuary – A container or receptacle, such as an urn or vault, for holding the bones of the dead. The derivation is Latin, ossuarius and oss or bone. Pall – A cover for a coffin, bier or tomb from the Old English paell or cloak. Pallbearer – A person carrying or attending to a coffin at a funeral. Passage or Portal Tomb – A tomb consisting of a narrow passage made of large stones and one or multiple burial chambers covered in earth or stone. 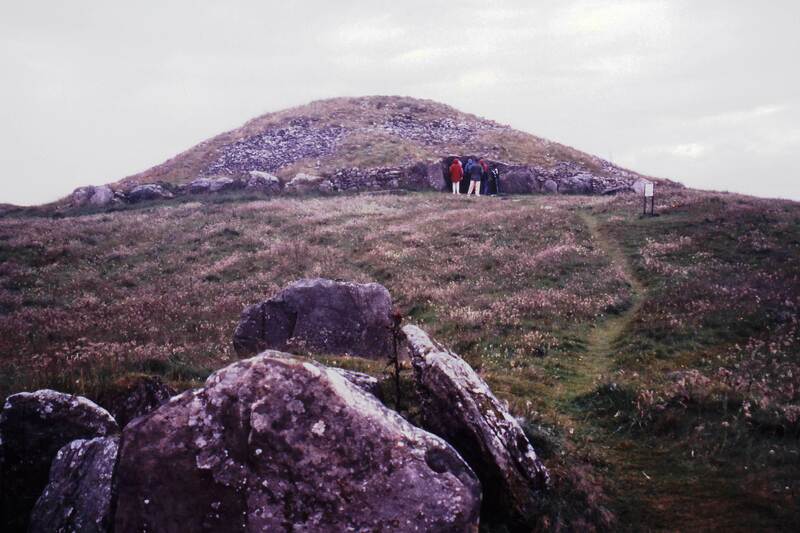 The building of passage tombs was normally carried out with megaliths and smaller stones; they usually date from the Neolithic Age. 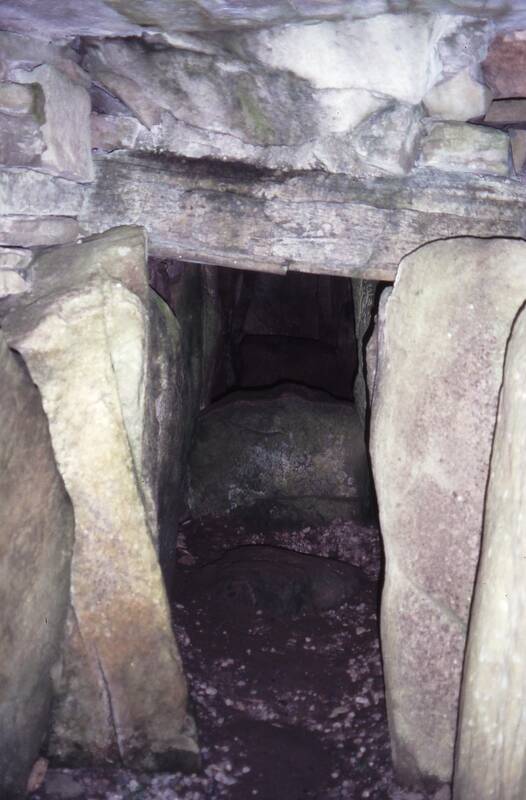 Those with more than one chamber may have multiple sub-chambers leading off from the main burial chamber. One common layout, the cruciform passage grave, is cross-shaped. The name is derived from the Latin porta or gate. Phantasm – Something apparently seen but having no physical reality derived from the Greek phantos or visible. Phantom – Something apparently seen, heard or sensed but having no physical reality from the Greek phantasma. Phlegethon – It is the river of fire in Hades, one of five, in Greek mythology. Plot – A small piece of ground generally used for a specific purpose such as a cemetery plot. It is of Middle English derivation. Poltergeist – A ghost that manifests itself by noises, rapping and the creation of chaos from the German poltern or to make noises. Postmortem – Occurring or done after death. It comes from the Latin post or after and mortem or death. Potter’s Field – A burial place for unknown, indigent or moneyless persons. These graveyards are usually tended by a government department of a city. The phrase is taken from the Holy Bible Matthew 27:7. Professional Mourners – This is a mostly historical occupation practiced in Europe and the Middle East. These individuals, also called moirologists, are compensated to lament loudly, cry, moan and wail. Held in high esteem in some cultures and times, the practice was vilified in others. 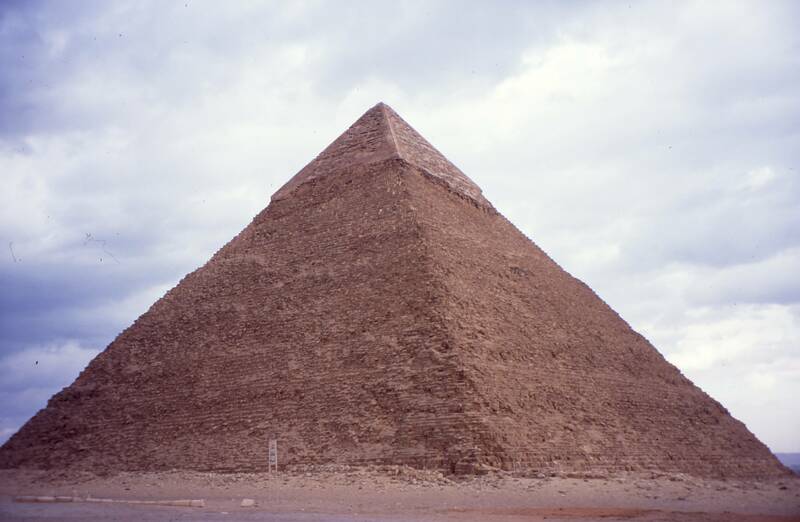 Pyramid – A massive ancient Egyptian monument having a rectangular base and four triangular sides culminating in a single apex built over or around a crypt or tomb. 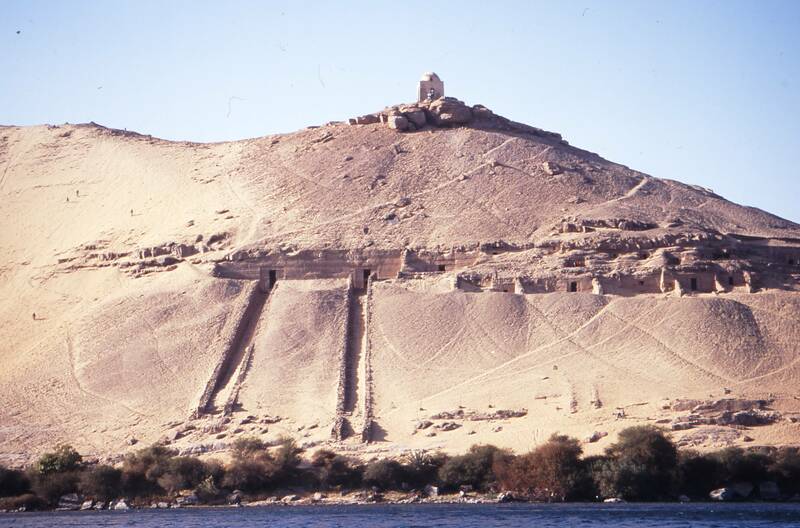 These structures were mostly for pharaohs’ final resting places. The word comes from the Egyptian pimar. Relic – An object of religious veneration, especially a piece of the body or personal item of a saint. It is from the Late Latin reliquiae or sacred objects. Reliquary – A receptacle, such as a coffer or shrine, displaying and keeping sacred relics. It is derived from the Late Latin reliquiae or sacred objects. Requiem – A mass for a deceased person. It comes from the Latin re, the first word of the mass, and quies or rest. 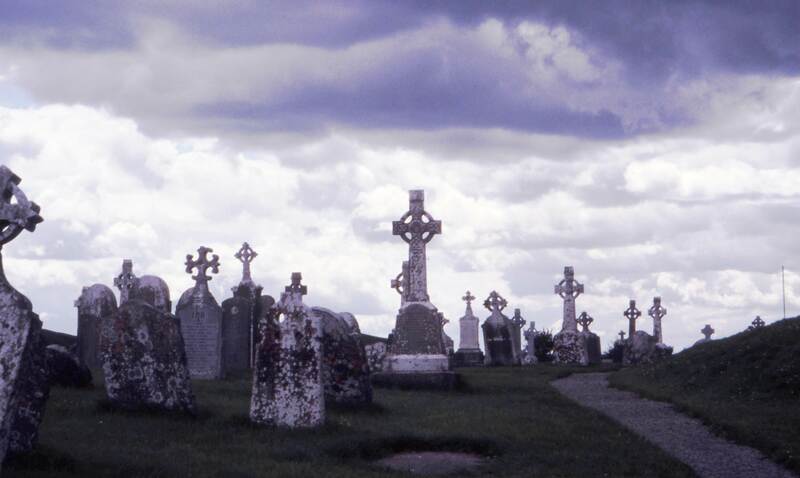 Requiescat – A prayer for the repose of souls of the dead. The derivative is the Latin requiescere or to rest. Riderless Horse with Boots Reversed in the Stirrups Accompanying a Funeral Procession -Symbolizes a fallen comrade. Rigor Mortis – Muscular stiffening following death from the Latin rigor or stiffness and mortis or mors meaning death. RIP – Requiescat in pace is Latin for rest in peace. Sarcophagus – A stone coffin, often inscribed or decorated with sculpture. It is derived from the Greek sarx or flesh and phagos or eating. Scythe – An agricultural hand tool used for reaping crops. 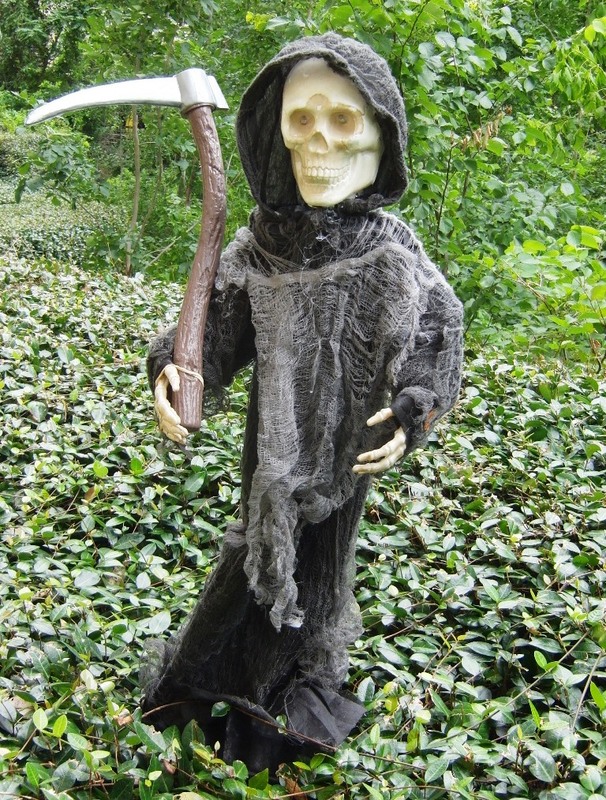 The Grim Reaper (see Grim Reaper) carries one when he comes to announce one’s death. Séance – A meeting of people seeking to receive messages from the spirit world. A medium usually presides over the gathering. 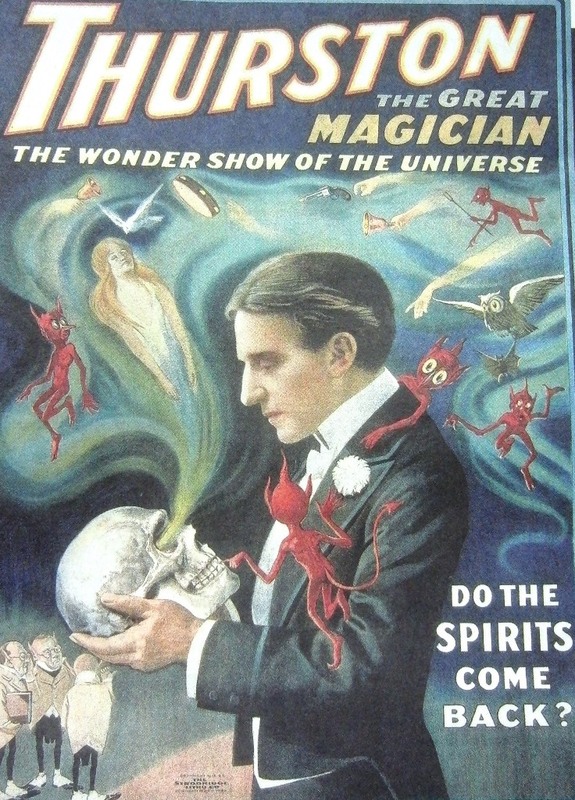 The great magician, Houdini, told his wife to have a séance at the Hollywood Hotel in Los Angles on October 31, 1927, one year to the day following his death where he would come back and speak to her from the Great Beyond. Unfortunately, the lines must have been down so no telepathic message was ever delivered. It comes from the Old French seoir or to sit. Sepulcher – A burial vault from the Latin sepultus or to bury the dead. Seven Deadly Sins – A classification of vices that has been used since early Christian times to educate and instruct Christians concerning fallen humanity’s tendency to sin. In the currently recognized version, the sins are usually given as wrath, greed, sloth, pride, lust, envy, and gluttony. Sexton – A church official, who cares for the edifice and its contents, buries the dead and rings the bells. It comes from the Medieval Latin word secristanus. 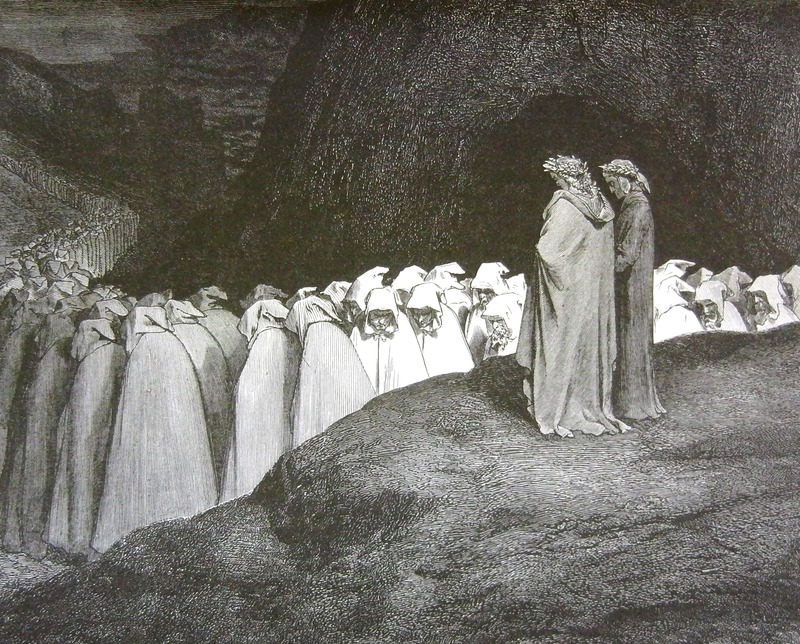 Shade – A disembodied spirit, a ghost from the Old English sceadu. Shroud – A cloth used to wrap a corpse for burial from the Old English scrud or garment. Sky Burial – A Tibetan funerary practice where a corpse is incised, placed high in the Himalayas thus exposing it to animals and the elements. It is derived from the Tibetan bya gtor or giving alms to the birds. Specter – A ghostly apparition from the Latin spectrum or appearance. Spirit – A supernatural being. It comes from the Latin spiritus or breath. Spiritual Banquet – A Catholic practice involving masses and rosaries. 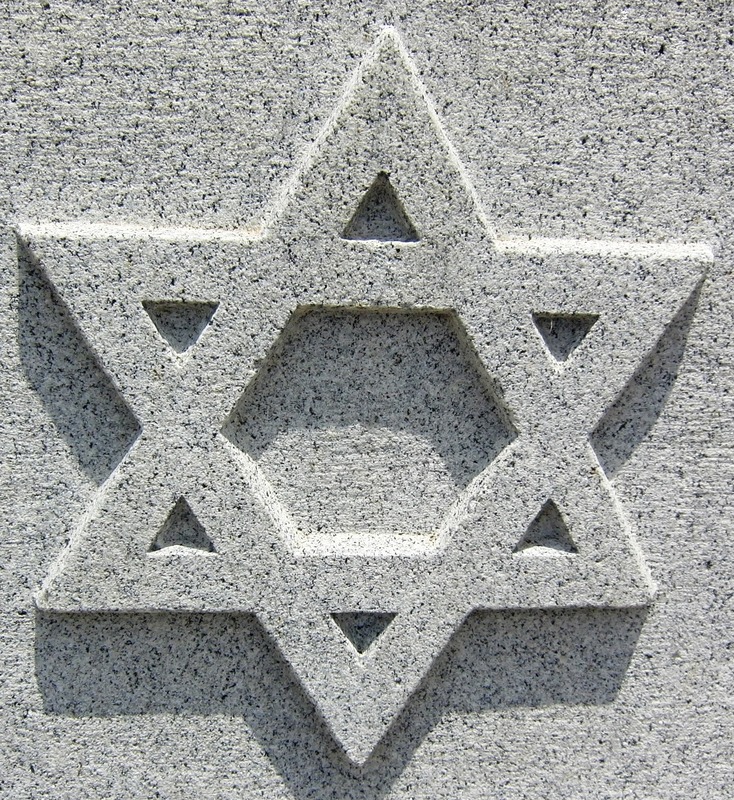 Star of David — A person o.f the Jewish faith is buried here. 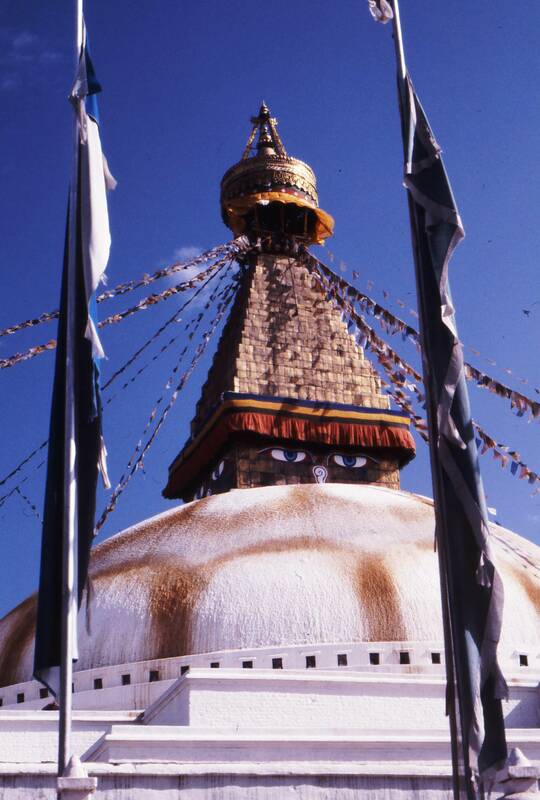 Stupa – A dome shaped structure used to house Buddhist relics or commemorate significant facts about Buddhism or Jainism. 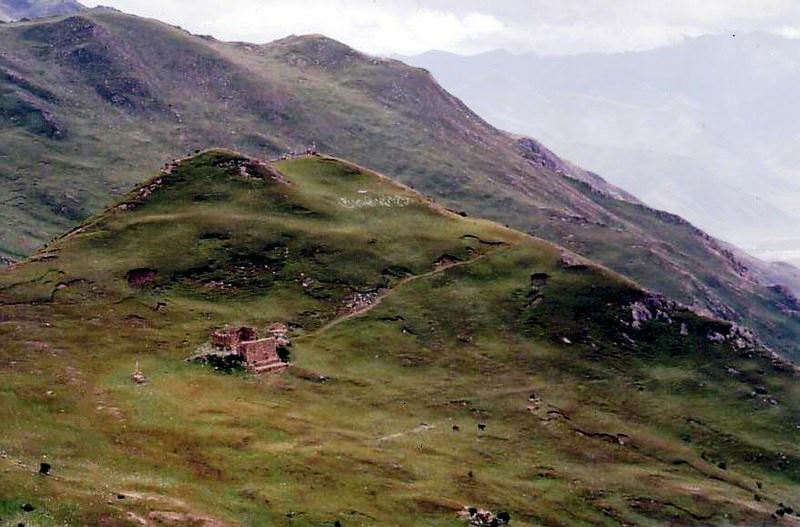 It is derived from the Sanskrit stupah or summit. Stygian – Of or related to the River Styx (See Styx) from the Greek stugios or Styx. Styx – The river across which souls are ferried to the underworld in Greek mythology. It is the river of hate and it is derived from the Greek Stux. Taphonomy – The study of the process (as burial, decay and preservation) that affect human, animal and plant remains as they become fossilized; also the process itself. The word comes from the Greek taphe or burial and English nomy or a science or law governing a certain field of knowledge. Taphonomist – One who studies taphonomy. Taphophobia – The fear of being buried alive. Taps – A bugle call sounded at military funerals and memorial services. It is most likely an alteration of taptoo or tattoo. It is derived from the Dutch tap or spigot and toe or shut. Theophany – The appearance of a god to a human being from the Greek theo and phan or to show. 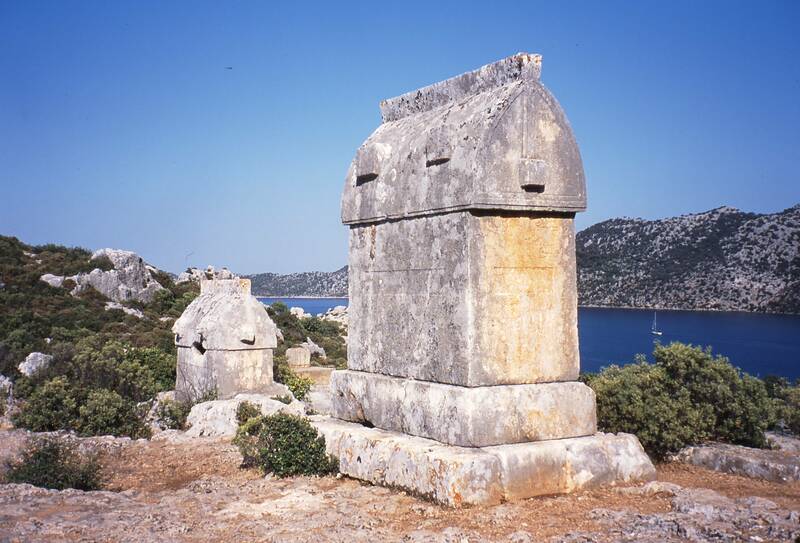 Tomb – A vault or chamber for burying the dead from the Greek tombos or tomb. 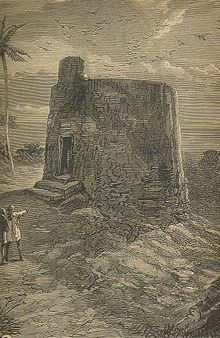 Tower of Silence – Zoroastrianism traditionally conceives death as a temporary triumph of evil over good. The corpse demon rushes into the body and contaminates everything it comes in touch with. Since the flesh of a dead body is so unclean and it can pollute everything, a set of rules had to be created in order to dispose of the corpse as safely as possible. As the natural elements of earth, air and water are sacred, the corpses were not to be thrown in rivers or interred. Cremation was also forbidden as fire is the direct and purest emanation of the divinity. Hence a complex ritual was developed in which the corpses would be placed in a high tower and exposed to vultures and eaten in a final act of charity. Twenty One Gun Salute – This is an old naval ritual of honor often used at military burials. It stands for the sum of the numbers in the year 1776. Vault – A burial chamber, especially when underground. It comes from the Vulgar Latin volvitus or arched. Wake – A watch over the body of a deceased person before burial from the Old English wacan or to keep watch.